Of the 461 fatal police shootings in the US so far this year, 123 cases involved a person that was mentally or emotionally unstable, a new report reveals. In the first six months of 2015, US police shot a distraught person on average once every 36 hours. An investigation by The Washington Post tracking all fatal police shootings in the US revealed that 123 of the victims were considered to be in the throes of mental illness. The paper based this on the person's expressions of suicidal motivations, or a history of mental illness confirmed by a family member. Experts say the actual count may be even higher. 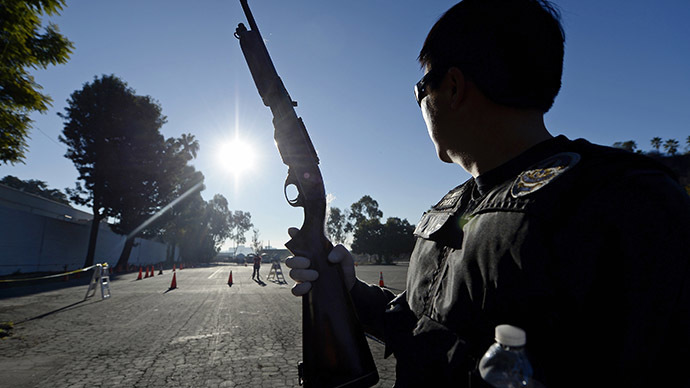 Though new police recruits often spend nearly 60 hours learning to handle a gun, they only spend eight hours learning how to de-escalate tense situations and eight hours understanding how to handle mentally ill persons, according to a recent survey by the Police Executive Research Forum, an independent organization that seeks to improve law enforcement training. In February, 25-year-old Lavall Hall was shot by Florida police when he refused to get on the ground, per police orders. Hall's mother called police to report that her son, a diagnosed schizophrenic, was having a violent episode and needed to go to the hospital. He had only been out of a mental hospital for a week when he was killed. In March, Los Angeles police shot and killed a homeless man who had just been released from a psychiatric facility after a 10-year stay. The man was first shot by a Taser, than fired on by three officers after allegedly reaching for an officer's gun. More than 10 of the mentally ill or distraught persons killed were military veterans. Many of those vets suffered from post-traumatic stress disorder based on their military service, according to police or family. The victim was armed in the majority of the cases that the paper analyzed. In most cases, police were not responding to a crime, but usually to a 911 call by loved ones or bystanders worried about the person’s mental instability or erratic behavior. More than 50 of the individuals were "explicitly suicidal," the Post reported. Furthermore, more than half of the 123 fatal police shootings involved law enforcement agencies that did not offer officers with "state-of-the-art training," as described by the Post, to handle mentally ill persons. In many cases, officers responded to the scene and quickly escalated already-tense situations. Police are often taught to point guns and shout commands at armed suspects, experts told the Post. But such bombast is “like pouring gasoline on a fire when you do that with the mentally ill,” said Ron Honberg, policy director with the National Alliance on Mental Illness. In 45 of the killings, police were called to assist in getting someone medical treatment, or after the person had attempted but failed to get treatment. The shootings victims were mostly men and more than half of them were white. Nine in 10 of them were armed with some sort of weapon. Most of them died close to their home. At the same time, there were other factors that distinguished the mentally ill police shooting victims from others. 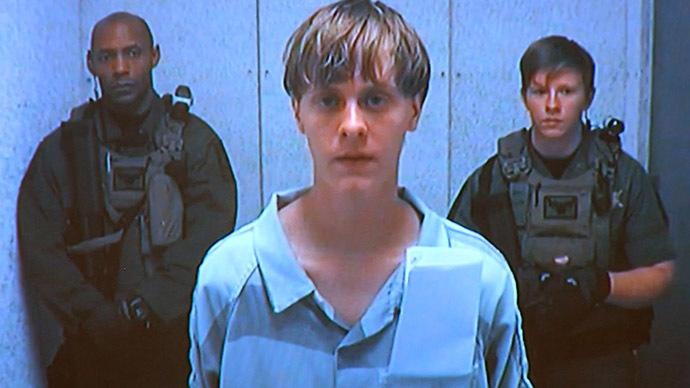 The mentally unstable group was more likely to brandish a firearm that was less than lethal. Six of them carried toy guns, while 3 in 10 carried some kind of knife. According to records kept by the FBI and other groups, "edged weapon(s)" have been used to kill only three officers in the past decade. Earlier this month, Los Angeles police exonerated two officers involved in the August 2014 fatal shooting of unarmed, mentally ill 25-year-old Ezell Ford. Officers allegedly stopped and detained Ford because they thought he was trying to throw away drugs. 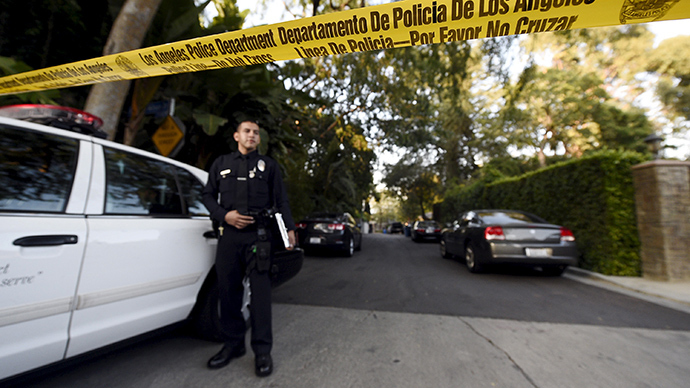 The LAPD, though, never publicly stated whether any narcotics have ever been found. Ford suffered from schizophrenia, bipolar disorder and depression, according to his family. In April, a Dallas County, Texas grand jury decided against indicting two officers who fatally killed a mentally ill black man holding a screwdriver on his own doorstep in June 2014. Officers John Rodgers and Andrew Hutchins answered a call by Shirley Harrison, requesting help with her son, whom she described as “just off the chain” and a “bipolar schizo.” As Jason Harrison, 38, appeared in the doorway behind his mother holding a small screwdriver, the officers opened fire. Harrison was shot six times in the chest, arm and back, dying at the scene.